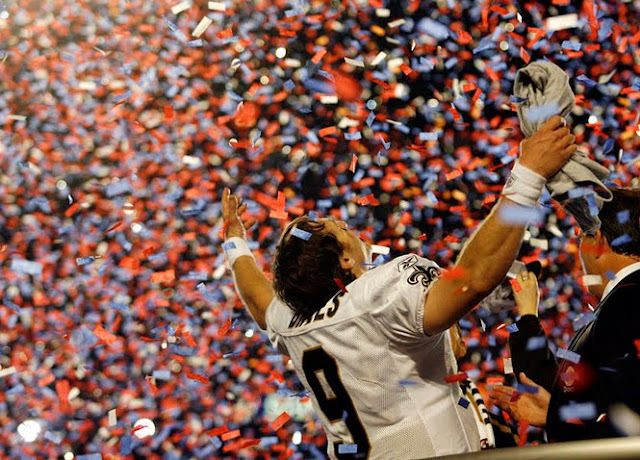 Saints Superbowl CHAMPIONS!!! who dat!!! Wow! It took 43 years to get us to the Superbowl and I am proud to be alive to witness such success. It's probably the most memorable, heart-warming, and magical moment that you don't often see in sports. Some of you may think it's not a big deal and it's just a game but honestly for the city of New Orleans its more than a game. The Saints have given the city Hope, Courage, Confidence, Determination, and Unity. We Belive. We Accomplished. It was DESTINY!! !